From the creative mind of legendary filmmaker John Hughes comes one of his funniest and most unique looks at high school adolescence. 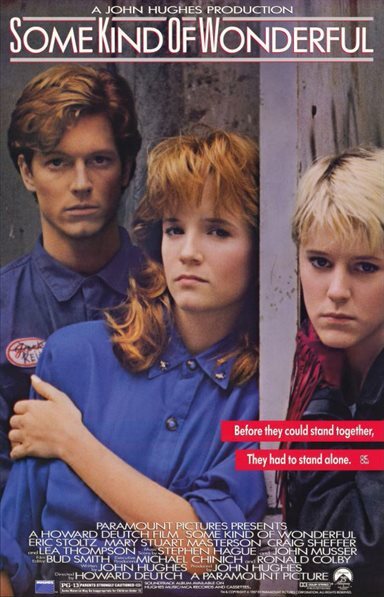 Keith (Eric Stoltz), Watts (Mary Stuart Masterson) and Amanda (Lea Thompson) prove once and for all that you’ve got to risk a broken heart in order to find your one true love. This unforgettable romantic comedy has laughs, romance and is truly Some Kind of Wonderful. Download Some Kind of Wonderful in Digital HD from the iTunes store. Some Kind of Wonderful images are © Paramount Pictures. All Rights Reserved.